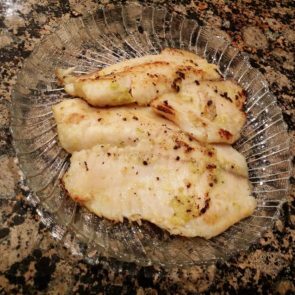 Tilapia is a great little white fish. It’s light and easily takes on flavor. Adding just a little bit of seasoning goes a long way with this fish! Garlic and ginger are a natural together, and on this fish they are even better! Ginger and garlic always go great together. Add some balsamic, olive oil, and Dijon, and you have a very delicious base sauce for fish and chicken.